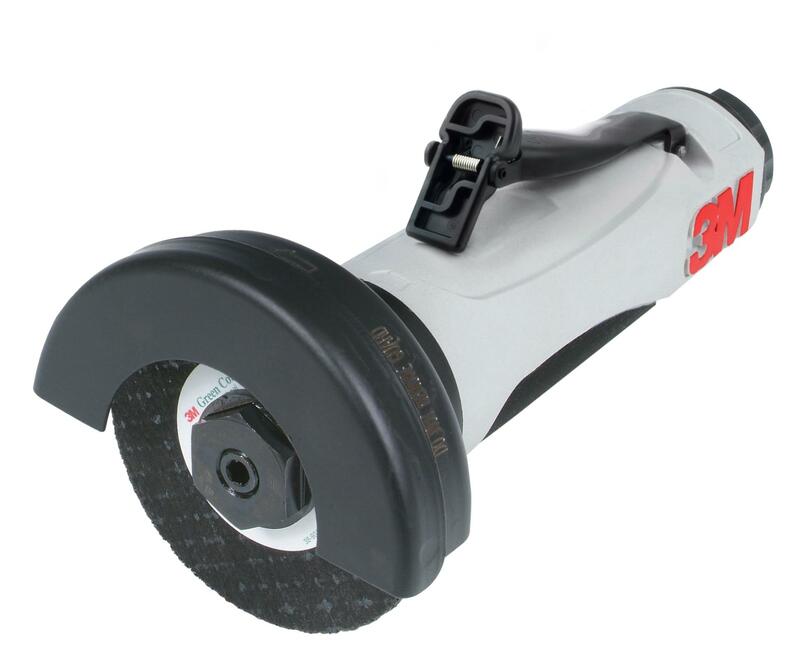 3M™ Cut-Off Wheel Tool delivers a fast, smooth cut when used with 3M™ Cut-Off Wheels (sold separately);1 hp motor easily handles cutting through everything from sheet metal to oversized bolts;Fully machined steel motor housing provides strength and durability;3M™ Gripping Material provides a secure hold;Repositionable guard provides maximum surface visibility;Wrench flats and overhose interface allow easier maintenance and compatibility with accessories The 3M™ Cut-Off Wheel Tool is designed to deliver exceptional cutting action and optimize the performance of 3M™ Cut-Off Wheels (sold separately). Numerous upgrades have been added to enhance the strength and durability of the tool, while maintenance and compatibility improvements make this tool easy to use and maintain. Jaco Aerospace and Industrial is your one stop resource for Refurbish and Repair for 3M™ Cut-Off Wheel Tool 20233, 3 in 1 hp 25,000 PRM and all of your 3M Products, Tapes, aerospace and industrial needs.